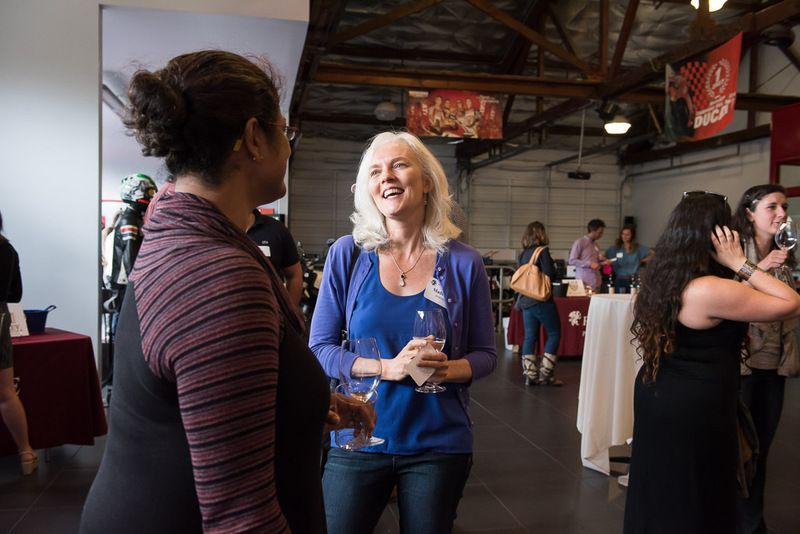 Like a cluster of grapes, alumni of all vintages gathered last week to drink wine, celebrate Reed vintners, and raise money for Reed. The real highlight of the evening may have been a presentation by recent grad Nicolette Sutherland ʼ17 on her thesis, Cross-modal Perceptual Learning: A Novel Shape-Tasting Method for Sensory Discrimination of Wine. 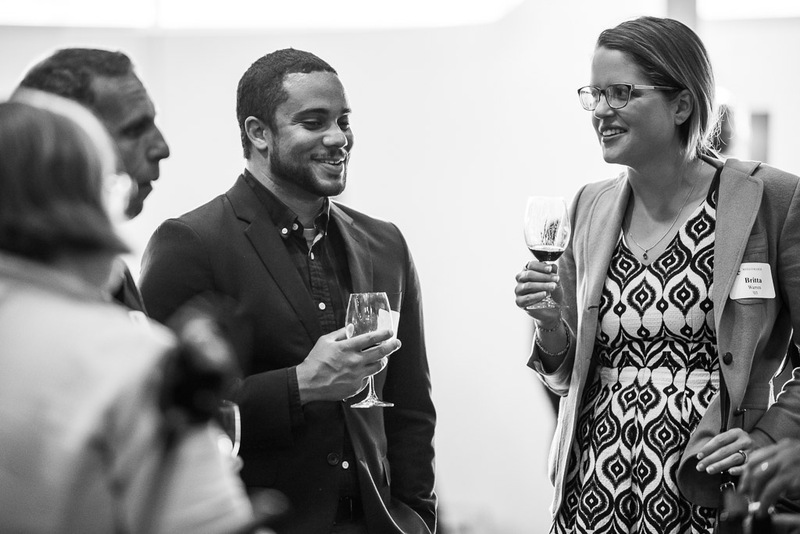 Held in a chic Ducati dealership in Portland, this year’s event was hosted by Alumni Fundraising for Reed and the Portland Alumni Chapter and and raised $2,513 for Reed. Special thanks to the following alumni, who helped make this event happen: Stephany Watson ’82, Dylan Rivera ’95, Andrew Schpak ’01, Katherine Woods-Morse ’01, and Caroll Casbeer ’10.